Format: Hardcover, 5.5" x 8"
Caitanya Mahaprabhu (Mahaprabhu means "the great master") appeared in Bengal, India, in 1486, and He lived for only 48 years, yet He began a revolution in spiritual consciousness that has profoundly affected the lives of millions. Renowned as a great saint even in His youth, Lord Caitanya left His family and friends at the age of 24 to teach the forgotten essence of the ancient Vedic wisdom throughout India. Although He Himself was a fully renounced mystic, He taught how one could act in spiritual consciousness even within one's home, occupation and social affairs. Thus, His teachings, although timeless, bear special relevance for today's world and these teachings are very nicely summarized in Teachings of Lord Caitanya. He taught a practical process that anyone can perform to directly feel the ecstasy of pure love of God. This book tells about the extraordinary life of this great saint and explains the essence of His teachings. 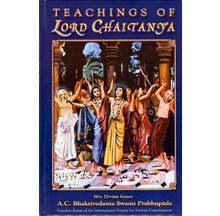 "Teachings of Lord Caitanya is an authentic and lucid account, in English, of the life and philosophy of Sri Caitanya Mahaprabhu. The spiritual movement initiated by 'the Great Master' five hundred years ago has profoundly influenced millions of men and women in India ever since, and is presently making its mark throughout the world. 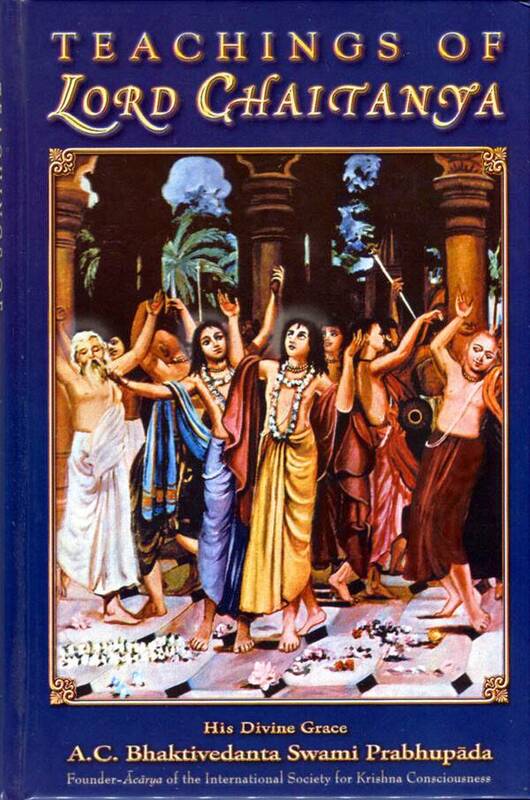 "Sri A. C. Bhaktivedanta Swami Prabhupada, the present spiritual master of the movement in disciplic succession, has done a great service to the English-speaking world by making this spiritual treasure available in English." "I think the best feature of the Hare Krsna movement is that it is providing scholars with excellent translations of the rarest books on krsna-bhakti." "I have read Sri Bhaktivedanta Swami's books with great care, attention and profound interest, and have found them to be of incalculable value to anyone who is curious about India's spiritual and cultural heritage. The author of these books displays on every page an astounding scholarship in the subjects treated, and also an understanding and ease of exposition of abstruse ideas, which are rarest gifts." "These books are not only beautiful, but also relevant to our times, as we as a nation search for new cultural patterns for our way of life."